eSim card was on the market from some years ago. Anyway, we decided to bring you an article about eSim card. It is an option for Android smartphones to have more versatility and control. 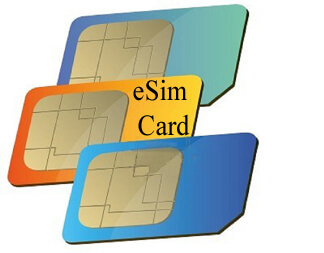 Smartphones handled a relatively new concept the “eSIM card” written in shorthand. Consisting of the “integrated SIM” a type of SIM card that is in the plate phone. The use of eSIM card could become the new form of the following smartphones, the integrated SIM now supports Apple Watch 3 and the Pixel Google also included in other branches, such as appliances and in the automotive sector. One of the features of the eSIM is that it can be reprogrammed if the user wants to change from one to another. It is also compatible with the most popular operators in the mobile phone market. Among the advantages of using eSIM card in your mobile is that it has a network, a system that consists of the connection request by simply calling the telephone operator without having to buy a SIM card. This is beneficial for people who continuously travel from one country to another. Also, the designs of the phones will be more sophisticated. You do not need to remove the back cover of the phone or the battery to change the SIM. And they would be borderless and more attractive. Another impact on society due to the Virtual SIM is that there will be less traffic in the physical stores of mobiles. In this way, it will lead to the online management of clients, as well as a transformation in the establishments. And there will be fewer stores, but they will be bigger and your staff will be better. On the other hand, the costs of roaming will change. Thus, the client may have several profiles in different operators and change it depending on the country to which they travel. However, the eSIM card also has its disadvantages, among them, it must be admitted by all the operators. So that the effective change is made, which would benefit all the people who subsequently travel for their work. The costs of smartphones with the new hardware features that the eSIM card implies would be somewhat high. As is the case with Google Pixel 2, which implies another point less in favor of this new technology. However, the main unknown of the eSIM card will be the security. Also, they will not give many details about their authentication. Even so, the fact that the change of operator is ok through software, always adds an additional vulnerability point with respect to the physical card. But this does not mean that the eSIM card can’t be secure. After all, many critical activities, such as accessing our bank accounts, are out using software protection measures. But it could result in a window for cyberattacks. Even so, and despite the fact that the first steps will take place in 2018, it will not be until 2019 when the manufacturers will incorporate the eSIM in a general way. It means they will have time to develop a better eSim card for the public. 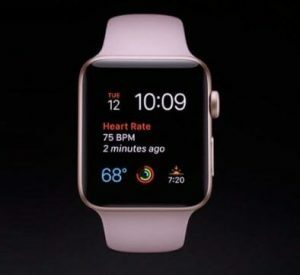 Analysts believe that the first to add this feature to their terminals will be the big brands, such as Apple, Samsung or Huawei. Undoubtedly something that will make the race for the mobile market more interesting. Next articleiPhone X Problems: Read this before buying new iPhone!